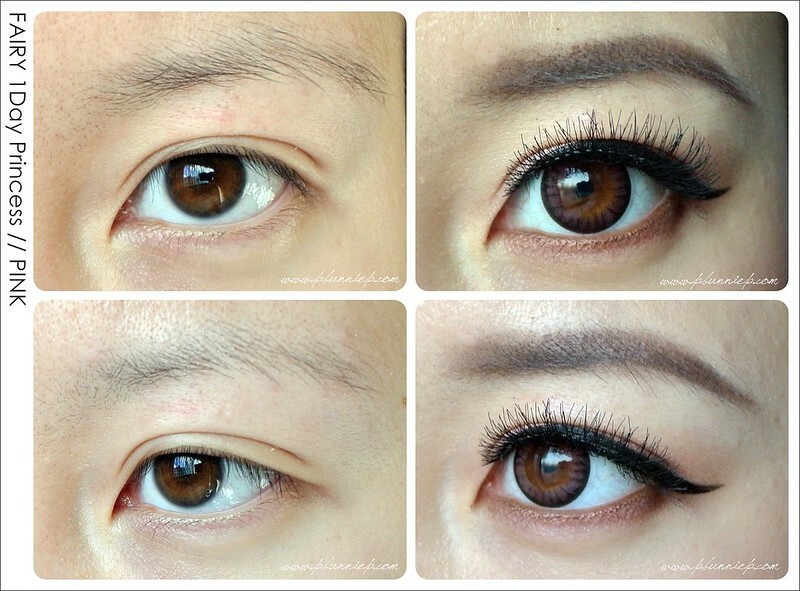 I change my false lashes on a daily basis. Full? Criss cross? Whispy? Switching up my eye colour is equally as easy with a pair of coloured contacts. 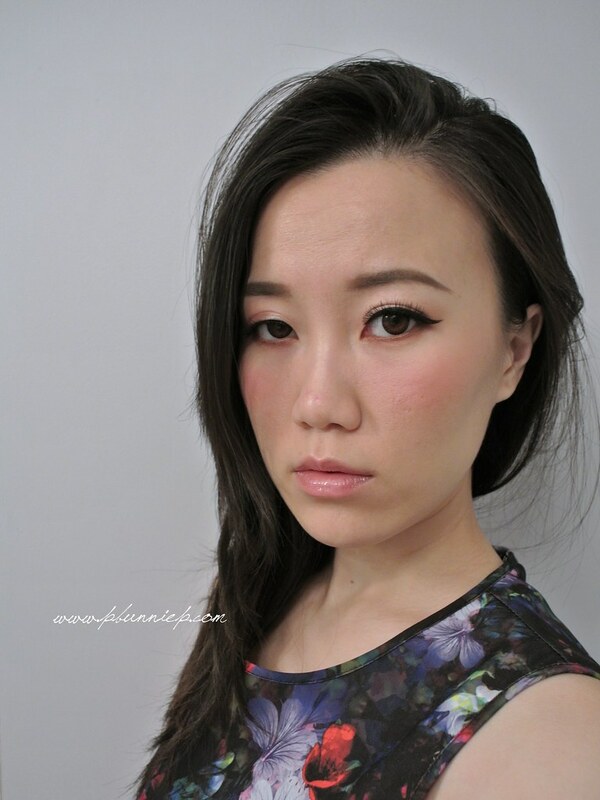 While my standard choice has always been brown, today I'm going pink with these Japanese style lenses as seen in some of my favourite Asian fashion magazines. 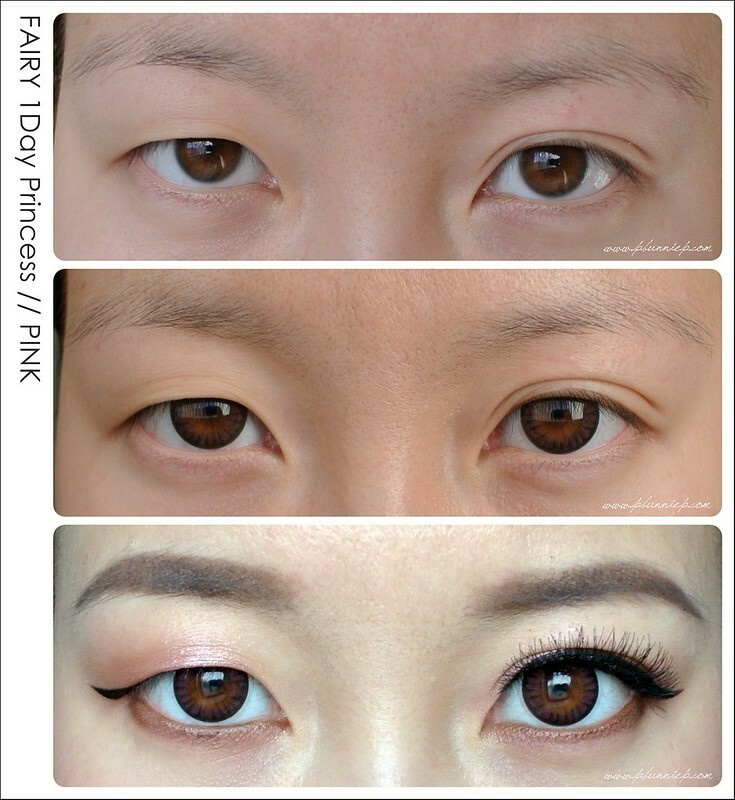 Style: Fairy 1 Day Princess* in "Princess Pink"
Daily disposables are a great option if, like me, you only wear lenses on occasion and do not want to worry about the upkeep and storage. 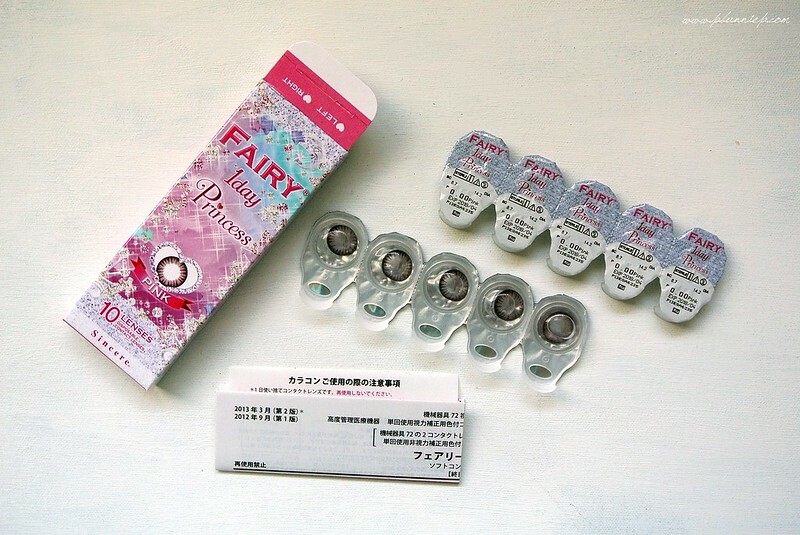 These Princess series lenses come in a slim packaging of 10 pieces per box, one row for the left eye and the other for the right. Individually sealed, they can be broken apart to take for travel. Trying to break out of my usual brown phase, I opted for pink (no prescription) as it didn't look to bright and the large clear center would still allow my natural eye colour to show through. The pattern is mostly focused around the outer circumference, sharpening the iris and adding more contrast plus definition. The shading, when worn helps to create a glossy, multidimensional look. With my brown eyes, the pink was not over whelming and added a sweet look, the colour being only visibly obvious in certain lighting. As the size of the average iris is 14mm, at 14.2mm these fall into the smaller diameter category in terms of sizing and still looked very natural compared to the size of my eyes. Actual enlargement is minimal but enhancement is certainly evident once you put them on. Compared to the yearly circle lenses I've owned previously these are more flexible and softer. While they felt extremely comfortable the first few hours, I did find my eyes drying out by the 4th or 5th hour so moisturizing eye drops are recommended if you'll be wearing them all day. 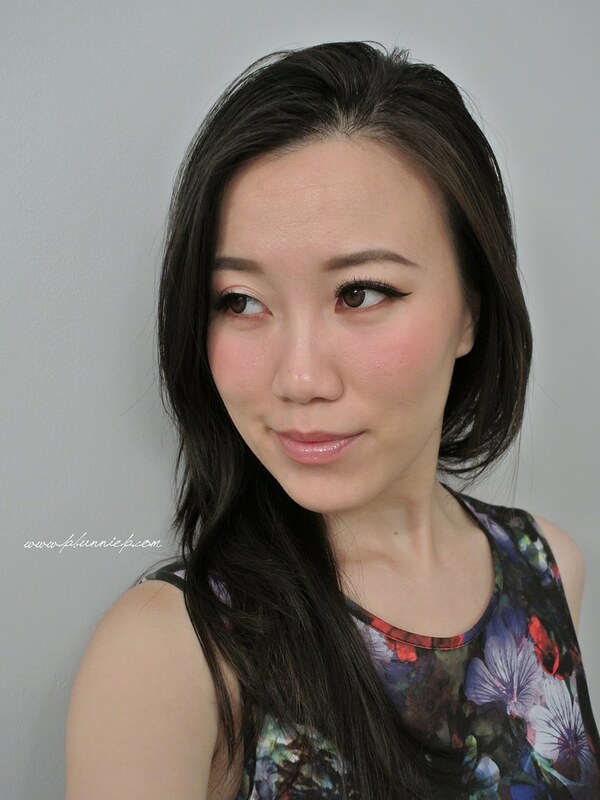 A very easy to wear series of lenses that produces a more natural but enhanced effect, especially when paired with soft makeup. The pink will give medium to dark eyes a softer, more romantic tint but will remain mostly inperceivable unless you are in bright light. 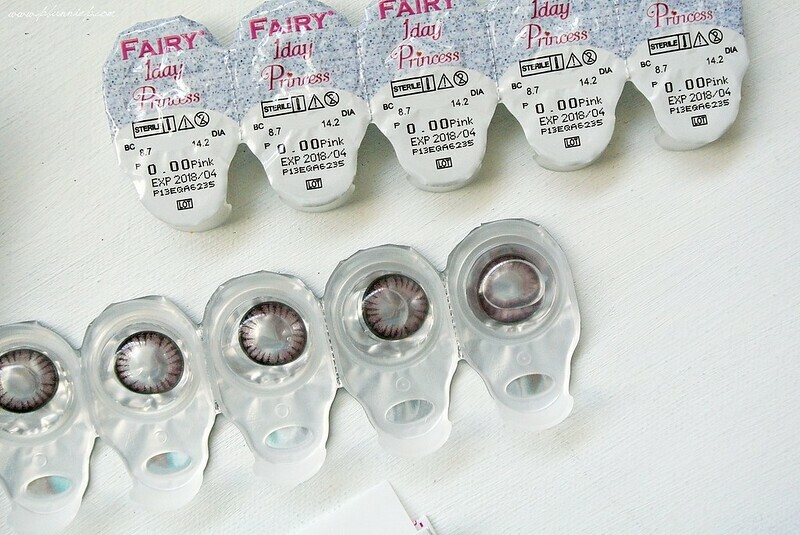 Marketed for everyday wear for a more grown up look than most other circle lenses I think these do just as they say, easy to wear and will fit in well with your everyday wardrobe! TIPS: I did find these daily disposables to be much softer than other lenses I've owned, it was a little more challenging to put them in as the lens kept flipping out or loosing its curved shape as I tried to put them in. As I don't wear contacts often, this may not be problem for you experts. NOTE: Contact lenses and circle lenses are something you should likely consult with your optometrist if you have never worn them before. Because they are going into your eye, the utmost hygiene must be kept to prevent damage or injury to your eye. While some people wear contacts regularly for vision correction, I would not recommend wearing lenses regularly if not needed, your eyes do need a breather! 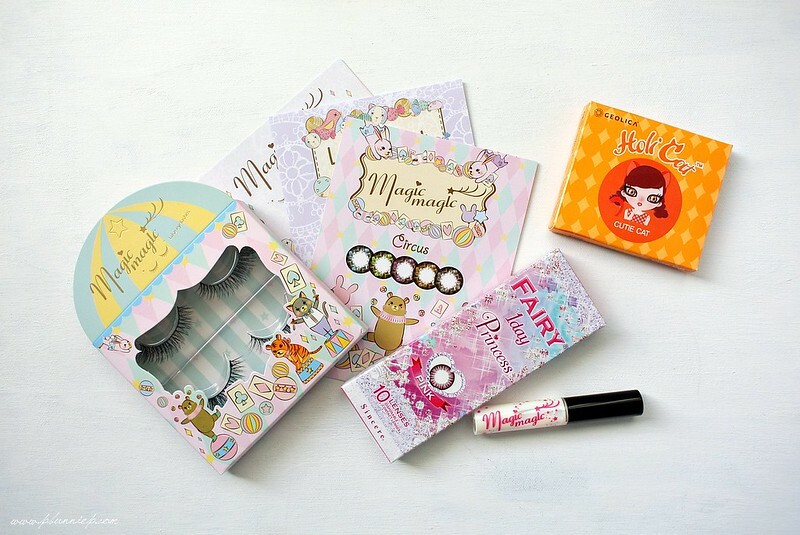 Next to come, a look at Korean style lenses and also some drool worthy false lashes....stay tuned for more! Since these are daily lenses, I assume they are thinner and thus more breathable for your eyes. 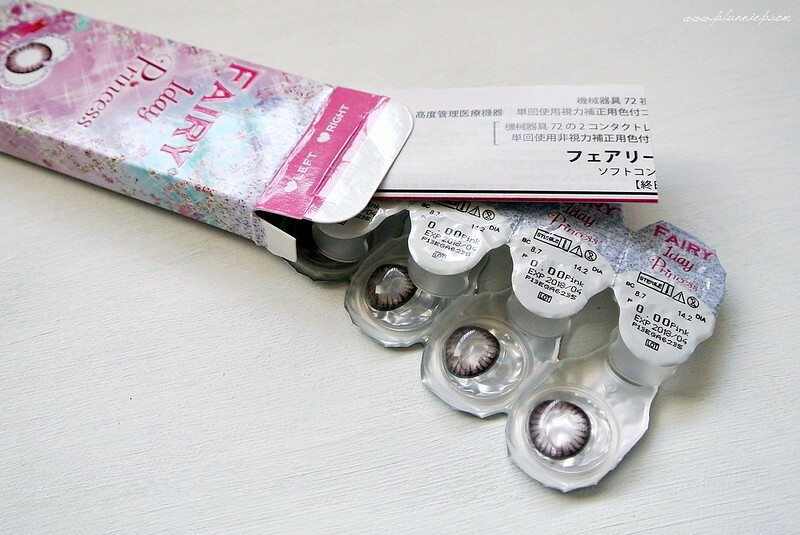 Circle lenses are often advised only to be worn for no more than 6 hours at a time due to the lack of oxygen being allowed through the thicker and larger lenses. Do you think these have the same problem, or would you say these are safe to wear for a longer period of time? I definitely felt my eyes starting to get dry by the 4th or 5th hour... I did wear them just a bit more than 6hrs just to see how they felt but I wouldn't recommend doing that day to day though. They do feel more flexible and comfortable but a bit drying non the less. nice post, dear.....as always! i think i may just have to purchase from this website. the one day circle lenses are probably way "better" for your eyes....i have kept my circle lenses for a year! granted i do not use them on a daily basis but still.....thanks for sharing! much love. xoxo.